Am trying to adopt AP3805i-ROW extreme cloud.AP showing critical alarm. any ideas on that or when that issue gets fixed? Could you share more information about the critical alarm and a screenshot. Could you please confirm the device is AP3805i-ROW? 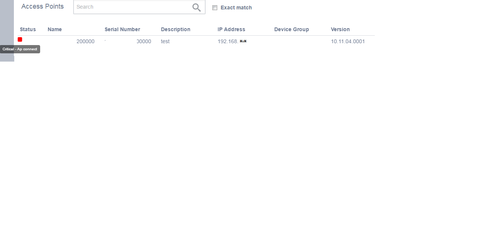 I have seen the similar issue with Ap3805i-FCC AP trying to use the device group configured with country Asia. In addition to what Nathiya had suggested above, I would also recommend that the AP has the correct network time via NTP and also has access to the internet. Also, make sure that you do not have another local controller that the AP can connect too. As always, if you are not able to resolve it, please contact GTAC to open a case and we can assist.